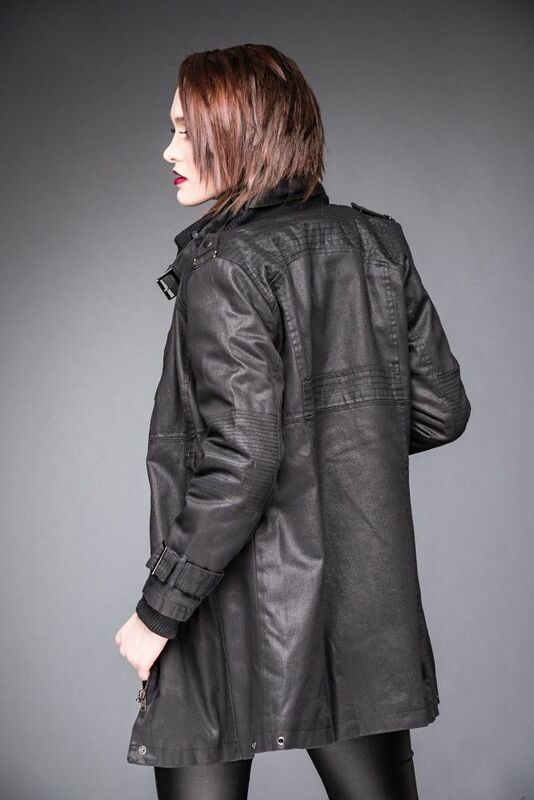 Eine warme Jacke mit stylischen Schnallen-Details am Kragen und den Ärmeln. 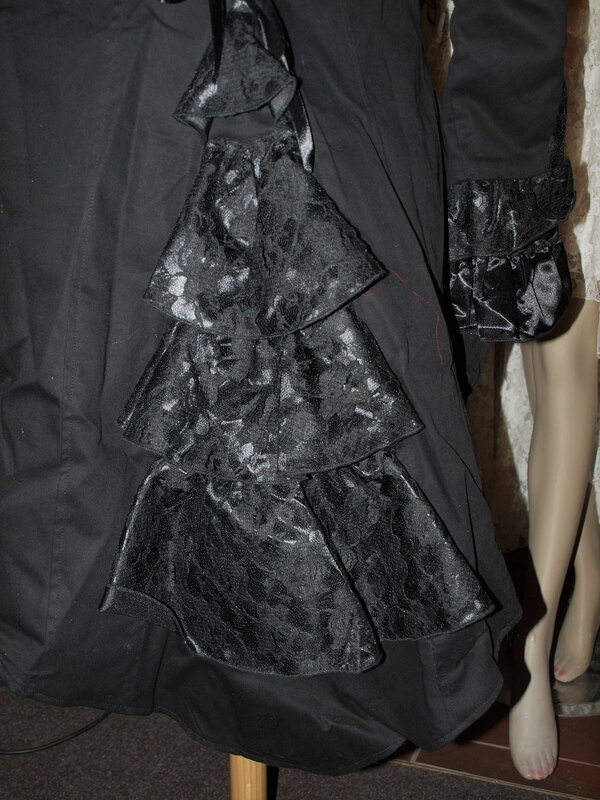 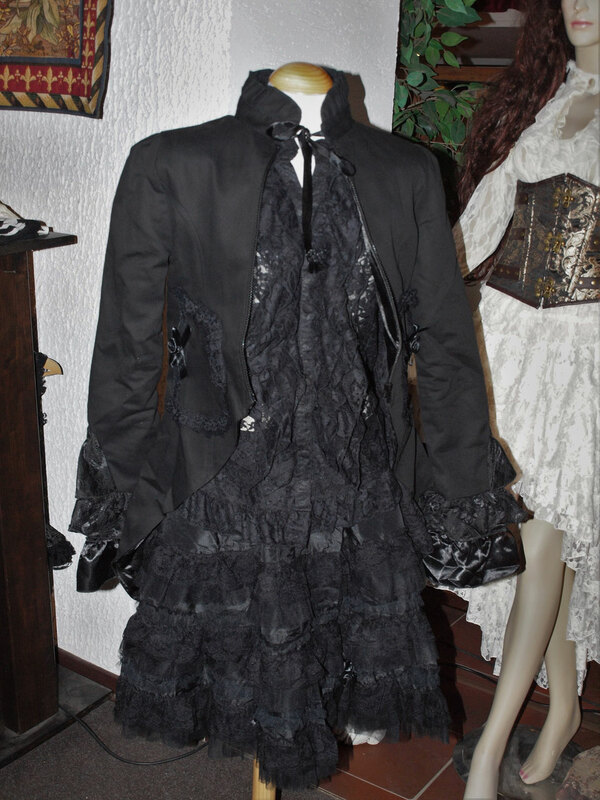 Ladies Pirate coat black in black fleece, with black satin and lace ruffles and laced satin ribbon detail at rear. 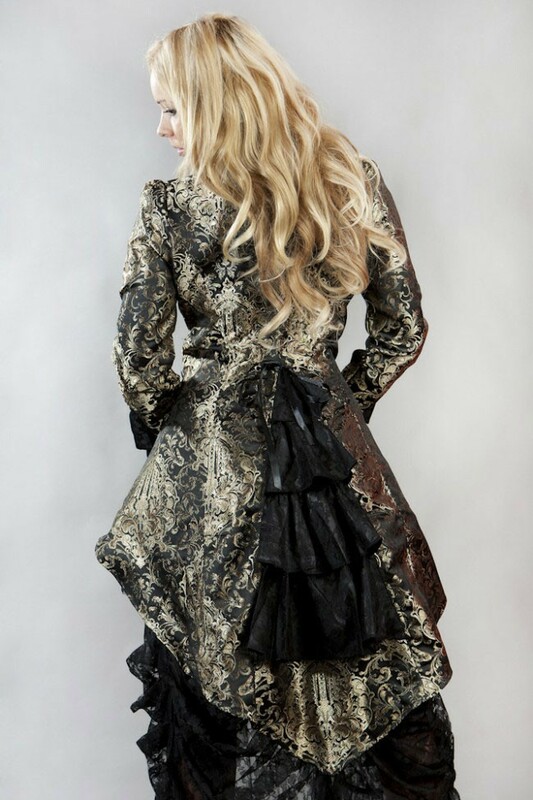 Pirate ladies coat in gold king brocade with black satin and lace ruffles and laced satin ribbon detail at rear. 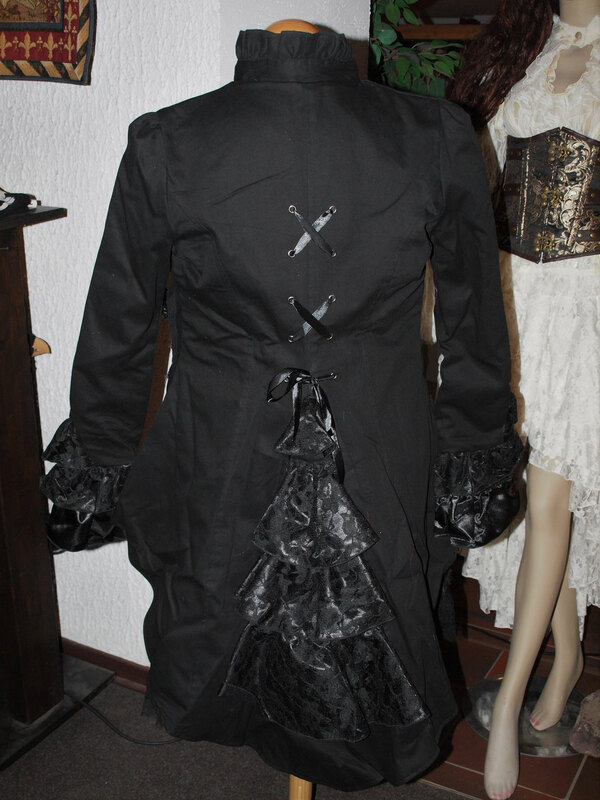 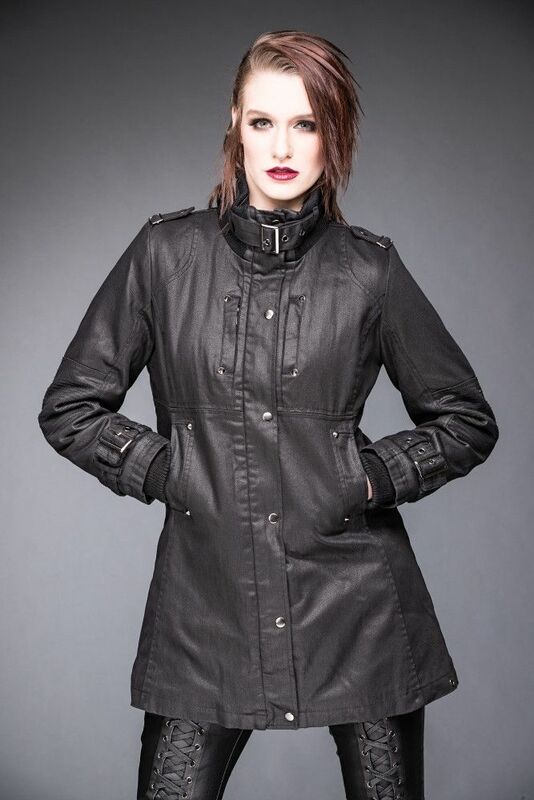 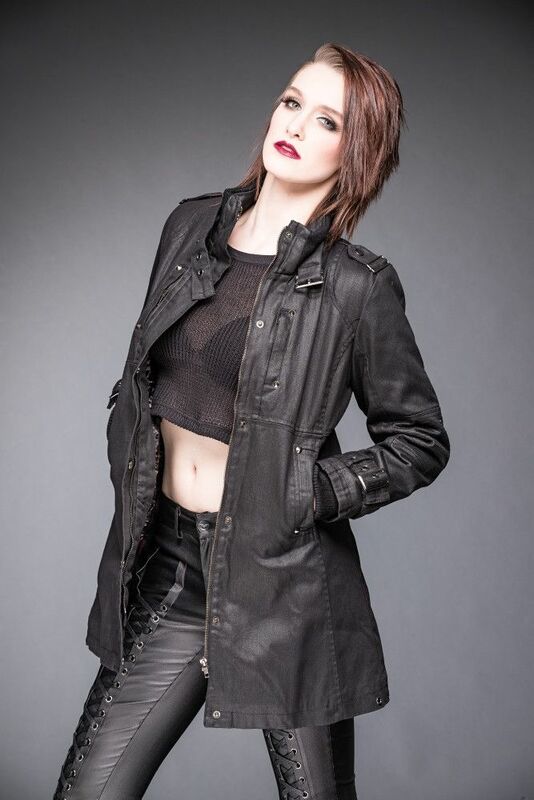 Pirate ladies gothic jacket in black twill with cord and silver studs and laced satin ribbon detail at rear.